Writing, deleting, tying, untying, the two foot by three foot table looks like the unorganized spillage of my mind. Spewed forth like a snake-in-a-can birthday surprise of creativity, it reflects itself upon my desk. Like a child and it’s box of Legos, our first reaction is to just dump it all out on the floor and start playing. If I still had the agility to do so, I would be on the floor, hunched over, digging through a shoe box of materials, making space ships that were designed to obliterate enemy Cobra G.I. Joe forces. This is now, and Lego as well as G.I. Joe toys of my childhood are now more expensive than my habit of tying and fly fishing. Not to mention my explosion sounds have gone unpracticed for years. The same principle applies today, my childhood creativity taught me a craft that I will take with me until I die. My first vise was a gift, unwrapped alongside a fishing watch that replaced my calculator watch. 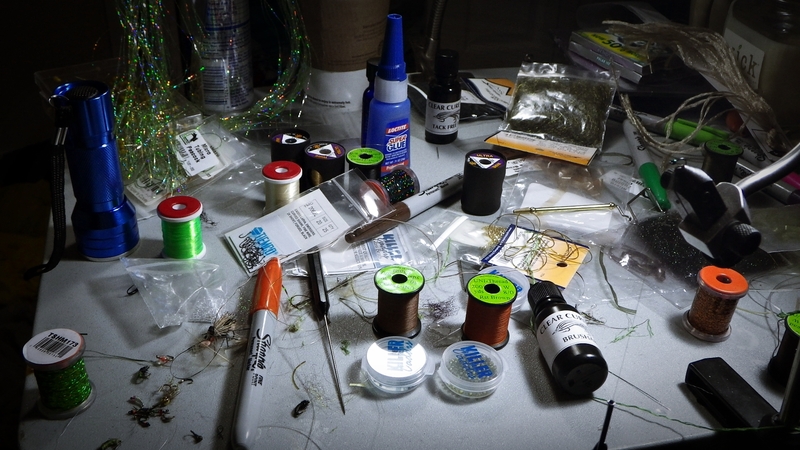 No book that would teach me the art of fly tying, just a box with some random materials and hooks. Materials that look like the type that are found only at craft stores for ten cents a bag. With a little help from the library’s microfiche at my elementary school (this was before the internet), I had finally tied my first blue dun. Into my teens, it was no longer important. The vise was buried in a box of my old stuff and instead of honing my skill, I pushed the easy button. I purchased flies (this is where you gasp). High school brought on new things, mainly wedgies and girls. To my surprise, as I reflect upon it now, an English teacher changed my fly fishing life forever. His name was Clayton Rowley, and he was usually found behind his desk reading or mulling over some sort of teenage rendition of a movie they had watched instead of reading the book. Probably angrily, and it was probably mine. There was always something different about Mr. Rowley, and it really was his way of teaching. Progression. He stopped me one day after class and said something to me about a literary work that I had written. I had genuinely looked at something from a different perspective and he rewarded me for it. Thinking outside the box was cool in his eyes and his reward of a simple, “I really enjoyed that, why don’t you write like that all of the time?” was imprinted for the rest of my life. Now, upon my Arkansas thinking rock, there were no shadows darting beneath the graceful current. I drifted flies to no avail for a while before seeing a large rise out of the corner of my eye. The riffle downstream. They were moving. Seems a little early to begin the spawning process, but the colors of the fish were becoming vivid and their bellies full. Practically running across the river, I began digging through my box to tie on a prototype bug. One of many I had tied the week before. One that I was not completely sure would work. 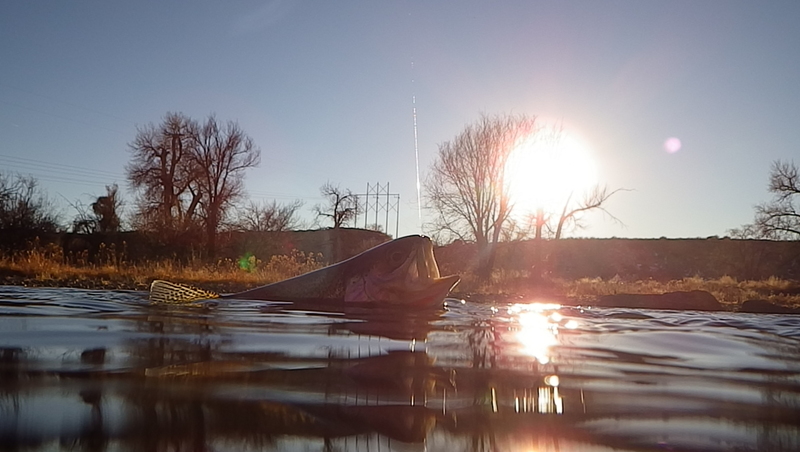 Within a matter of seconds after the first cast into the riffle, I was into my first big fish of the day. It had worked. All of the prototypes after, all working and working well. One stood above the rest, one that I really should keep myself from sharing. 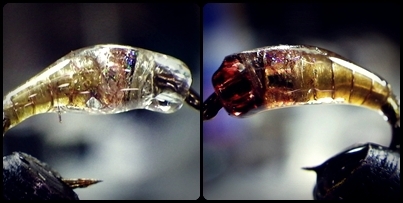 A new type and color of the “Halo Midge”. Last week, I poured out my box of Legos and made a spaceship. A deceptive ship that fooled leviathans. As I brought them to hand, I smiled. Not because I had caught a fish. Not because I tied a fly to catch that fish. The reason for my smile was knowing I had held onto my childhood imagination long enough for it to be effective. When I couldn’t feel my toes anymore, I sat on the riverbank wondering if Mr. Rowley ever fly fished. If he had never felt the bending of a fly rod, maybe my thought of him would allow him the chance. Although our paths of life only crossed briefly, his effect upon my future was great. For that I thank him. Prepare your brain to change pace, I hope the picture helped. Habits are hard to break. When you finally notice that you are developing a habit it is too late. Commas are my Achilles Heal as well as boulders that I can sit on in the river. Who would think that commas could be a habit? Recently, I realized that there is a certain rock on the Arkansas that I sit and think on. Every single time I fish this river, I head directly to this rock and sit. 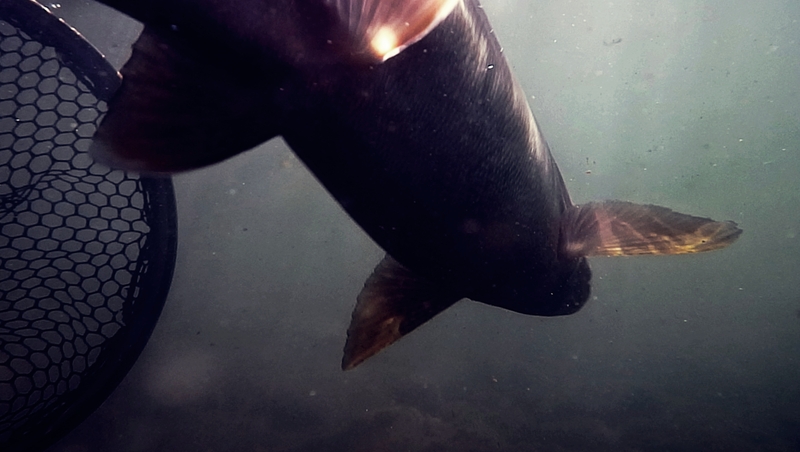 I sit for a period of time watching fish feed near the surface. Waiting for the long black shadows streak across the seams as I pick feeding lanes and flies. 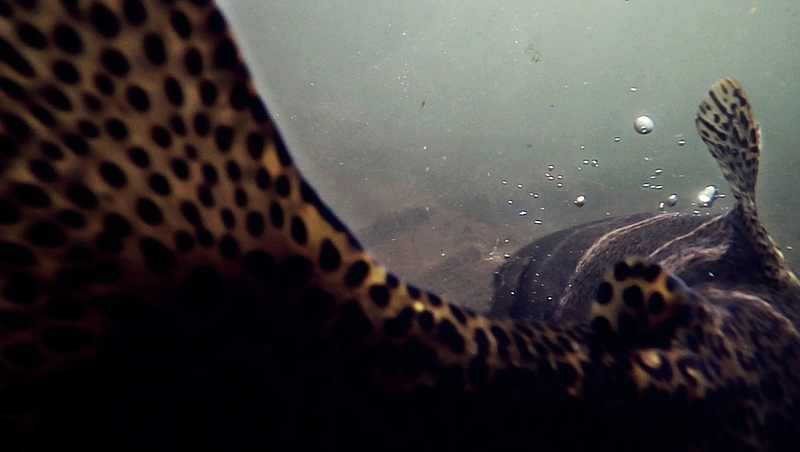 Recently, the Arkansas has been releasing its treasure. On the thinking rock, the past and this page began to flash before me. Two years have gone by and I have sat in this room telling stories to passers-by. Random people who deem my writing good enough to read. Some say that I am a good writer, but at times I do not feel that way. The same feeling came along at times when I was a musician. I didn’t feel as though I was good enough. I heard other guitarists that would blow me away. Ultimately, it lead to the demise of my rock stardom. I felt like I was at the apex of my ability (not the apex of playing guitar). In writing and fly fishing, people blow me away on a daily basis. 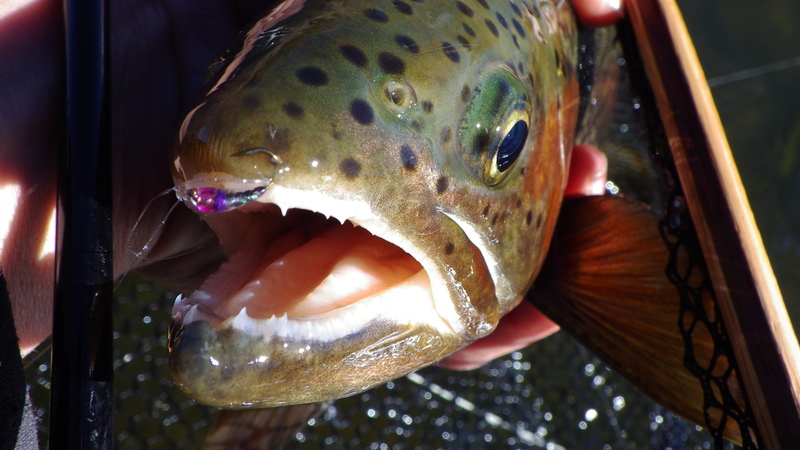 There are better fly fisherman, better writers, but mostly people better at marketing than I. People that know an industry that I have excluded myself from for years. Upon this thinking rock, a chain of thought and the surface was broken by a fish and a big smile across my face. Last year on the Arkansas I have been using different colors of the same pattern. Quite frankly, I have been using that pattern everywhere to some success. The bug today, a cream/brown Hail Mary, a new addition to the color scheme. After catching a few fish out of one hole, it was time to move on down the river to a different thinking rock. A rock that faced me a tad bit northward and on an odd side of a run that nobody really fishes. Watching countless fish rise, my thoughts came back to this page. Thoughts to this page reflected my attitude about the guitar. I didn’t really want to be known. I wanted to be in the background, to be invisible. I wanted the right people to find me. People who would go out of their way to support my… Well, for lack of a better term, addiction to writing. These people found me. Every comment you see down there are people that have stumbled across this page and deserve that same support from you who read this. We aren’t searching for popularity, it is something else entirely. Maybe we just want to spread our enjoyment to other readers. There is a fine line between people who “write” for popularity and we who just write. The more I thought about it, the more I felt like I was being egocentric and vain. Inner turmoil was overflowing and for a time I just sat on the rock, thinking about things that shouldn’t matter. 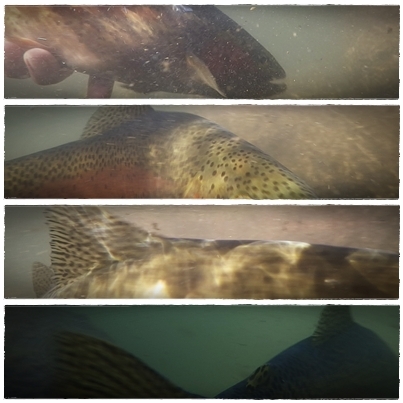 What does matter is that I fish, take pictures, and write. The only reason, “because”. 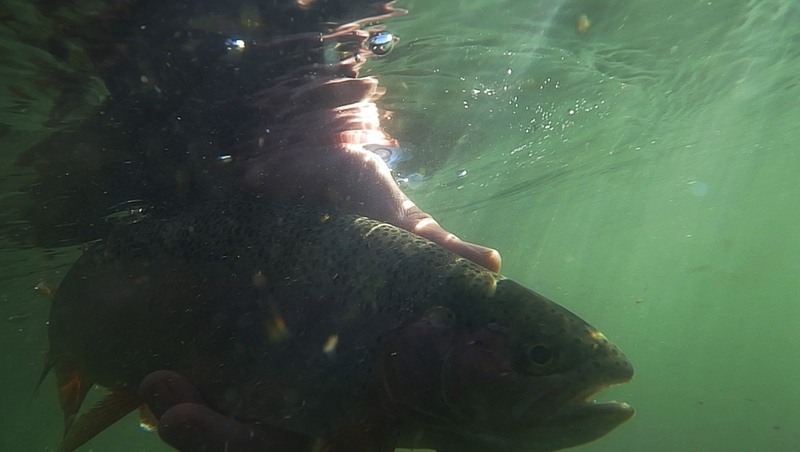 For those who may have never known, my name is David Goodrich and I am a fly fisherman. I hope the people who have been reading for the past couple years stick around for a few more. You might get some special surprises. To the people who have promoted and read this page, I can not thank you as much as you deserve. I am ready for this next year. Home is a very multifarious word. In one way, it can simply mean the place where you sleep. In other, more complex terms, it has to do with a place to go for deep love and comfort. It is the type of place where you can take a deep breath and relax without thinking about anything in particular at all. Home is the place to reset and retrieve what you lost while you were away. Maybe it is the smell of fresh baked bread and cookies, or the “fresh baked bread and cookies” scented candle you lit before you left. When you do return home, those cookies are there, waiting. No matter how you look at the word, it usually suggests a sense of well-being and calm. At least, this is the way I am suggesting for the purpose of this post. Vacation was coming. I was about to have five days to spend with family in a familiar locale. At work, my mind drifted off into the past adventures that my family took to New Mexico before we finally moved there in the summer of 1993. Those were long road trips that my brother and I somehow managed to not be killed by my parents for being outright annoying. Although, we were left alone in the desert on a dirt road somewhere in between Thoreau and Farmington. As my brother and I began contemplating survival in the Bisti, my parents hit the brakes and let us back into that red S-10. When I think about it, my brother and I almost had the survival thing figured out and we had only been there for ten seconds at the most. We didn’t know at the time, but almost twenty five-years later, we would be in the same place with a different directive. Fish. I have never stood in a river with my brother. Our time is usually spent throwing leeches at smallmouth in the summer or fishing from the banks of lakes in search of carp. 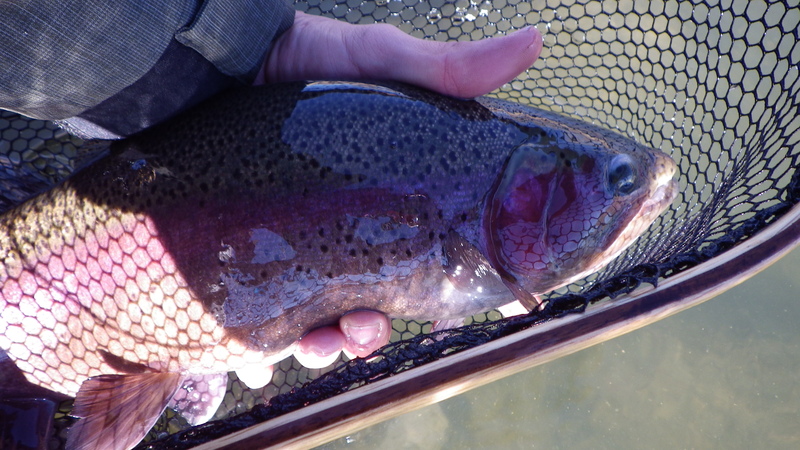 He can fly fish, and he does, it just isn’t his preference. 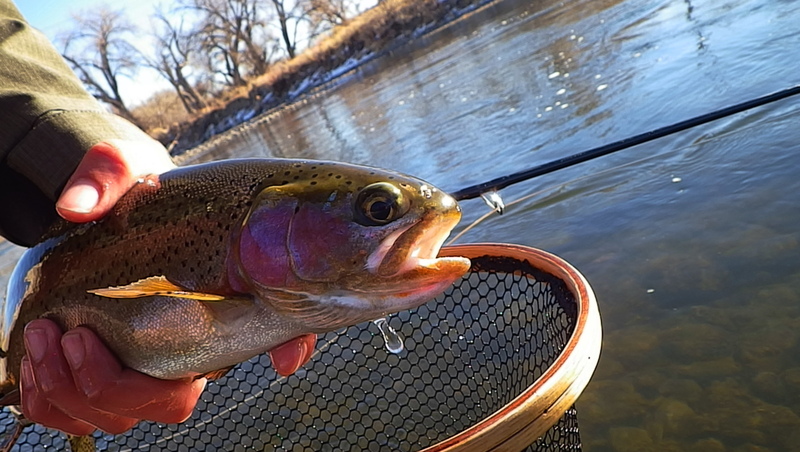 Since his fiance has been wanting him to teach her how to fly fish and all the lakes were beginning to freeze over, I finally had the upper hand. I saw excitement in their eyes as they commenced floating around the fly shop while I purchased some last minute items and waders for them. An excitement that would bleed into the next day. After getting some cigars for Evangeline, it was time to fish. My brother and I expected the worst. Sometimes the San Juan is cruel. 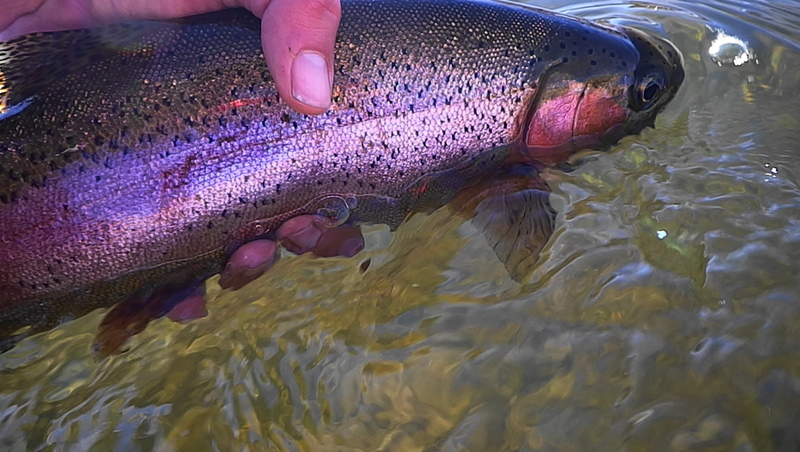 Not that the fishing is ever really bad, but between the temperamental weather in the winter and the biting insects in the summer, it makes fishing a bit difficult. Today, the high was 29 with a slight wind. It was something my brother and I are used to, but today we had a first timer with us. There is nothing worse than getting skunked in the cold with 2 people so drawn to fishing that they will stop at nothing to continue fishing throughout the day. After rigging both of the up with the “Hail Mary” and teaching Evangeline to cast, it was only a matter of minutes before they were catching fish. The snow began to fall as well as the peace that comes with it. That muffled tone made everything more silent, more alive. The water seemed to thicken with the chill. Our lines sliced flakes as they soared through the air, we continued on despite the cold, driven by fish and a mysterious addiction. There is a new fly fisherman in the making now. It is a long, long road of fulfillment. One that, before she met my brother, she swore that she would never.